The following article describes the steps necessary to capture the fuel content of the lateral hamstring. To best get an idea of how to scan this muscle, watch the following video and then review the steps below. Position the athlete face down on the table. 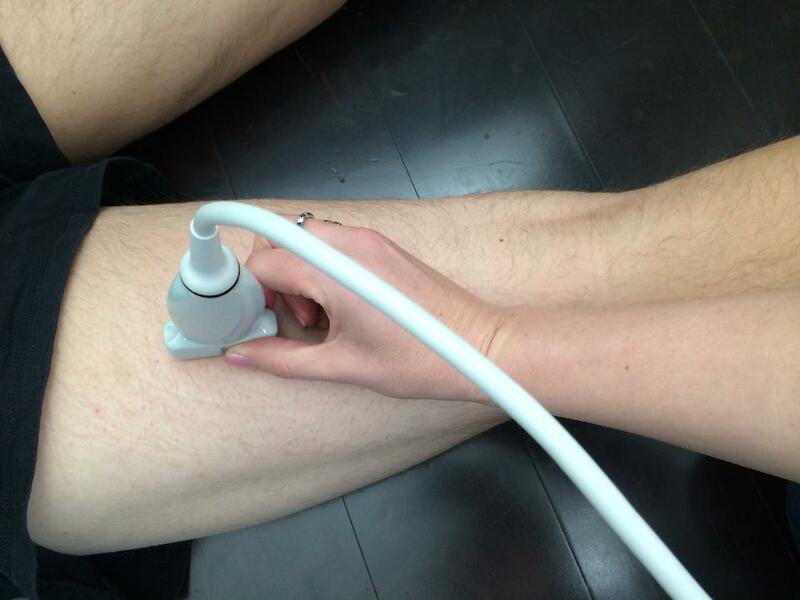 Start with the probe on the belly of the hamstring muscle. The belly of the muscle is the location where the muscle is the biggest. 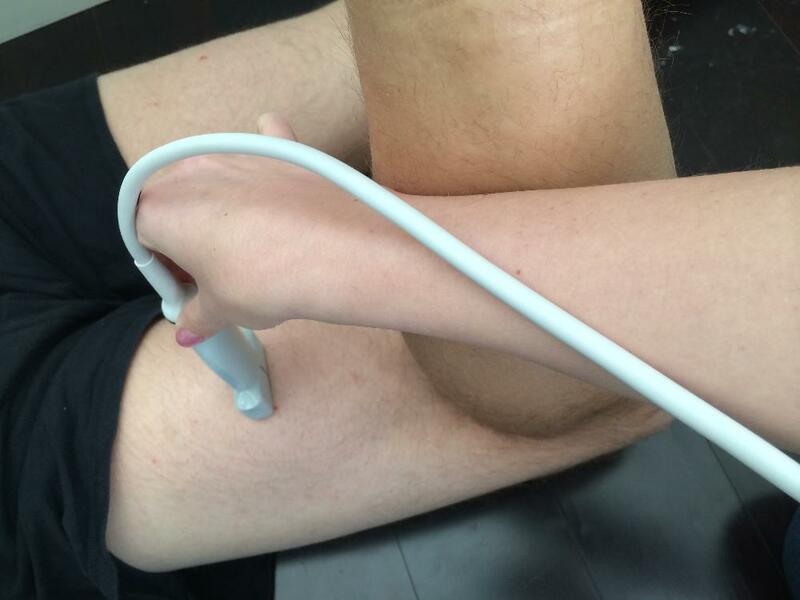 To find the belly of the hamstring, measure half way between the greater trochanter and the back of the knee. To confirm you are in the right location have the subject curl their leg and slightly lift the leg off of the table. 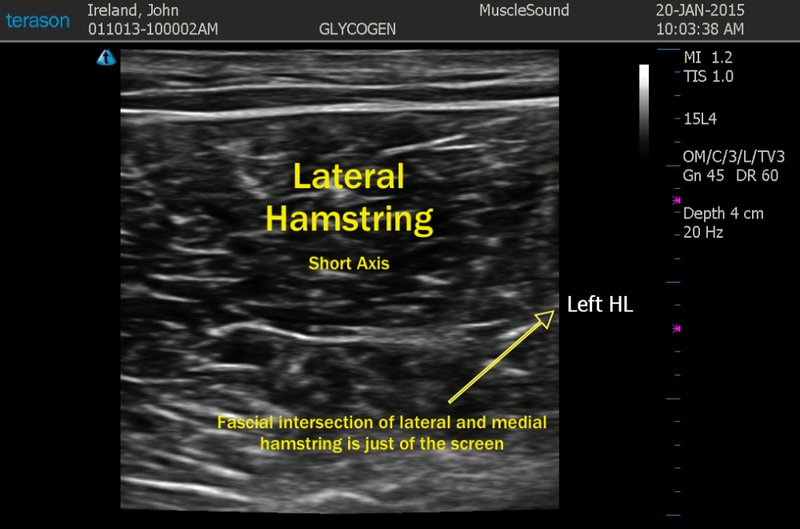 Slide the probe both medial and lateral to find the intersection of the medial and lateral hamstring. 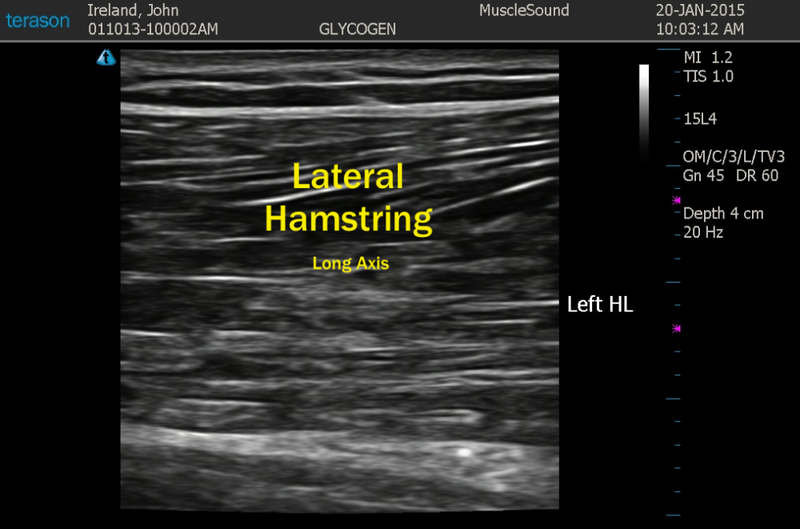 Slide the probe lateral until the medial hamstring is just off the screen. Rotate the probe to long axis.